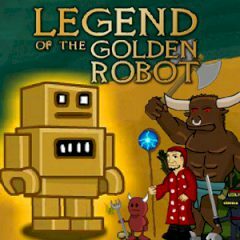 You are the young hero who decided to find the parts of the Golden Robot and make the prophecy come true. Travel, explore and dig for treasures and rares. The Golden Robot prophecy is widely known. But this robot is broken and his parts are hidden under ground. Nobody knows where they are and people afraid to search them because of evil wizard and his minions. Go outside and explore distant land to find all parts along with other treasures that can be useful to you.